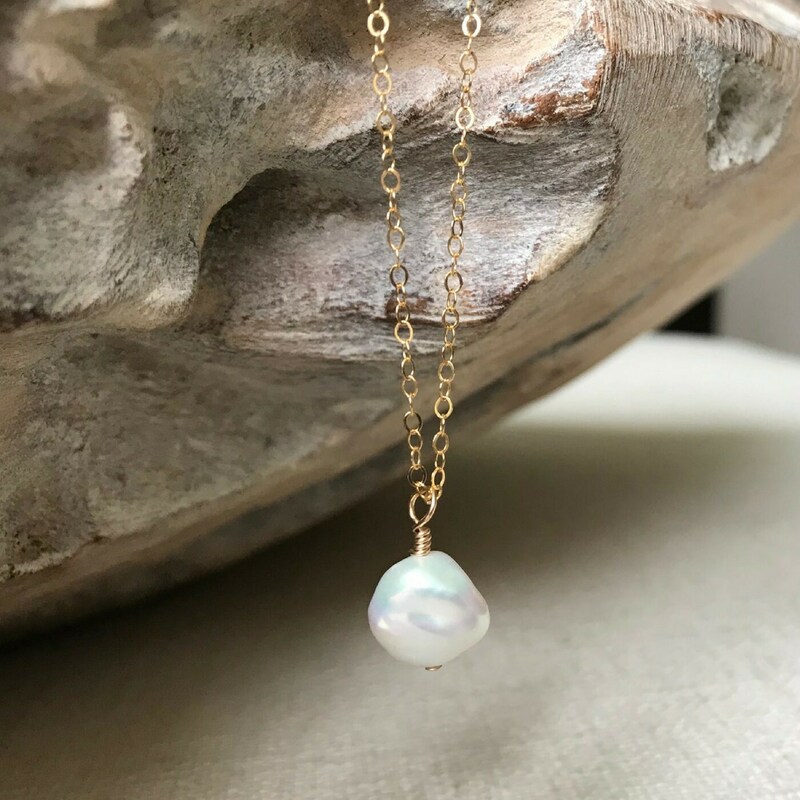 Available in gold filled or sterling silver, this lustrous single real keshi pearl dangles from a delicate chain finished with a lobster claw clasp. 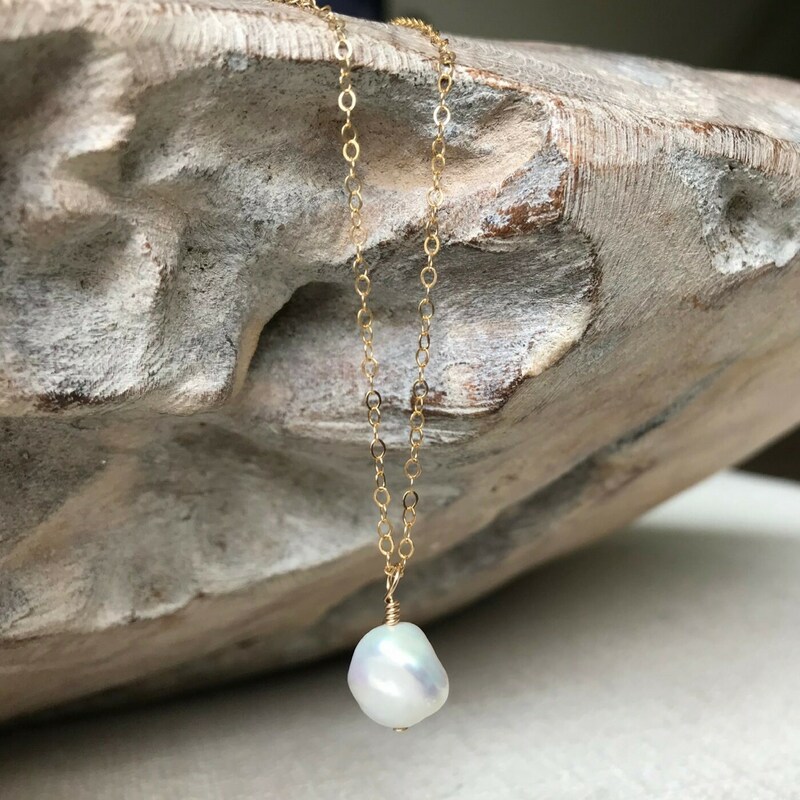 The necklace is an understated elegance on it's own and a pretty addition to any layering combination. 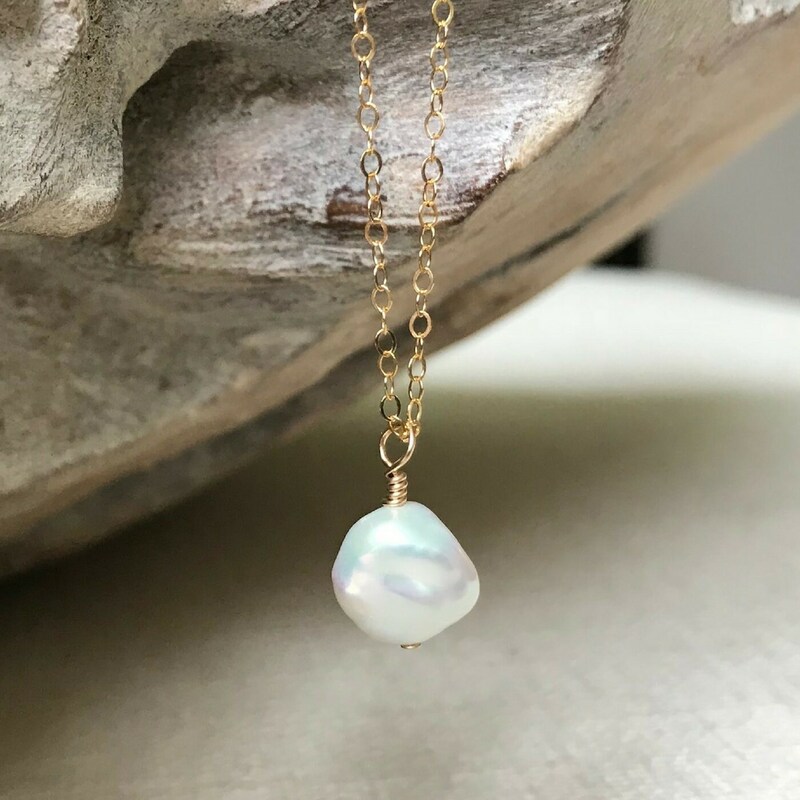 Dress it up or down, either way it's a beautiful piece and a great little gift for a June birthday girl, bridesmaids or just a treat for yourself! Please select your preferred metal and chain length of 16", 18" or 20" from the drop down menu at check out. 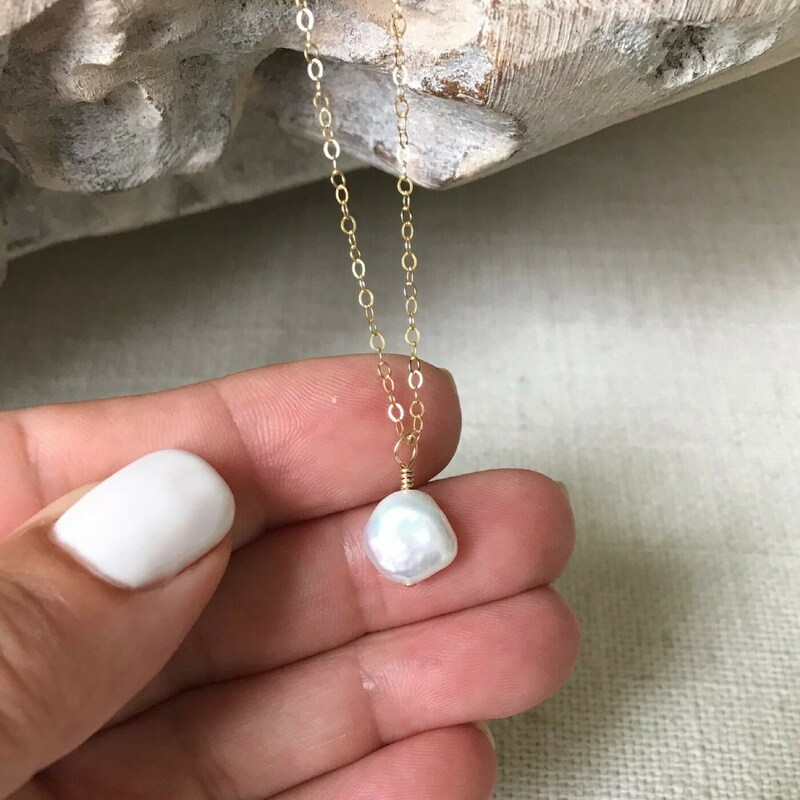 Do not hesitate to message me should you prefer a length not listed or need more than one necklace. 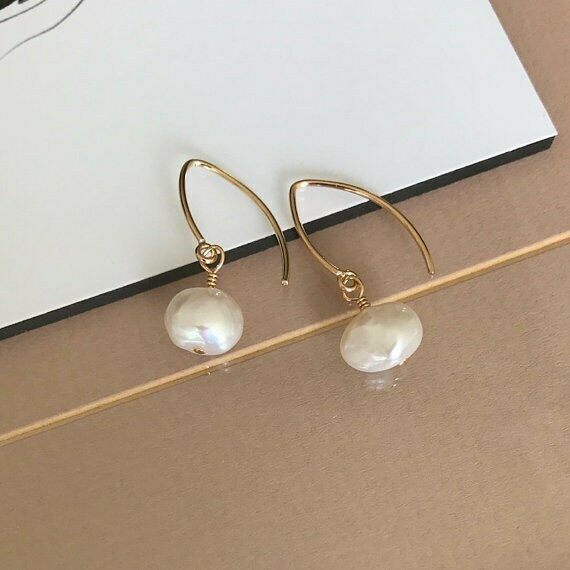 The keshi pearls are approx 10-12mm. 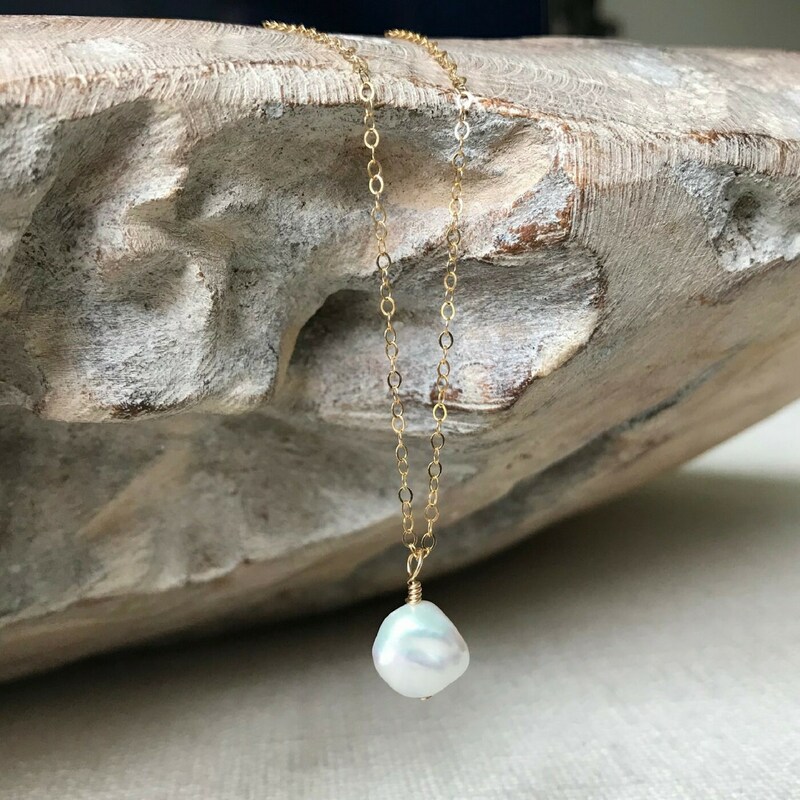 Each necklace is handmade with natural pearls. There will be slight variations in size and/or color that are not considered flaws but are the trademark of a handmade products.